Clean, revive and reshape your clothing in just ten minutes. Save water, save money, save energy and save the planet by using this towel to steam clean clothes in your dryer. You will be able to wear clothes again without washing them first, so last minute wardrobe decisions won't make you late. It's great for jeans, sweatshirts, dry clean only garments, or any other piece of clothing that isn't quite dirty enough for a full washing. Just dampen the towel, place it in your dryer, and turn it on to steam out dirt, bacteria, wrinkles and odor. 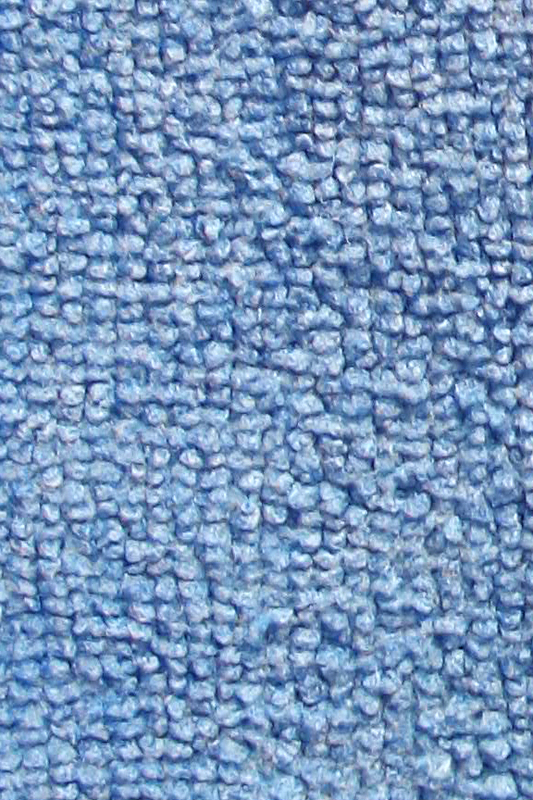 As the hot air goes to work, the dampened microfibers will massage fabrics to aid in cleaning and wrinkle elimination. Clean, revive, reshape and freshen undesirable, previously worn, slightly dirty, stinky, lifeless, or wrinkled clothing into freshly laundered, ready to wear articles in a matter of 10-15 minutes, and without the need for washing. Non-toxic and chemical free, this reusable towel is recommended for almost unlimited uses. It may become soiled over time, but just machine wash to keep it working like new. If your clothing is not visibly dirty, but it is a tad stinky, you can easily use this product to make it smell fresh, fruity, or any other scent you prefer. When a couple drops of fragrance oil are added to the towel, it will mix with the steam created to revive the material, and make it smell better at the same time. Don't risk your health with the questionable ingredients in dryer sheets just to reduce unwanted odors. Use this natural alternative to eliminate the funk in a safe and effective way. Clean clothes without washing! Too much time in a machine can cause wear on fabrics, and let's face it, you're not that dirty anyway. Stop throwing clothes into the laundry basket blindly because if they aren't actually dirty, you can use the power of steam and microfiber to breathe life back into them without fading colors or damaging fabrics. Not only will you save time and make your clothes last longer, you will also save water and electricity by doing fewer loads. This eco-friendly product will allow you to look like you washed your clothes, but it takes less time, and saves money too. It's also great for clothes that can't be washed. Save money on your dry cleaning bill by reviving those clothes in the dryer instead. Use one towel to revive and freshen up to 3 items at a time, or use 2 to do up to 8. The material is not treated with chemicals, and it's totally non-toxic and recyclable. Top Quality. Made from an advanced microfiber material, this is much more than a regular towel. The specialized fibers do all of the work, and because it's made from a commercial quality fabric, you'll get amazing performance, and a product that seemingly never wears out. Don't go tossing any old rag into your dryer and expect the same results. Totally Reusable. Easily get hundreds of uses out of this inexpensive product. The long lasting material will not break down or wear out after a few uses. It will remain extremely function, use after use, and for years to come. Fast. No waiting around means you're out the door sooner, and you get to wear the clothes you want. Take limp, wrinkled, stretched out, or stinky clothes and make them wearable in under 15 minutes. Gentle. Regular washing causes clothing to wear out quickly. When you revive in between washings, all of your favorite clothes will last longer. Compatible. Safe to use with any material, you can even use it with dry clean only garments. The short amount of time, and low level of moisture poses no risk, so revive almost anything without worry. Sweet Smelling. Use it with water alone, or add a few drops of oil to eliminate wrinkles, lightly clean, and make everything smell nice at the same time. With oil in place, the steam created will have a safe and natural scent, so shirts and other items will look better and smell better too. With such an affordable price tag, and so many uses possible, this is a highly affordable product that would make a great addition to any laundry room. Despite the low cost, it delivers high end performance thanks to the material that is anything but cheap. The Steam Fresh Dryer Towel Can Save You: $365.00 on dry cleaning costs, or about 700 gallons of water and 90 kwh of electricity on wash and wear clothing. The Steam Fresh Dryer Towel is lint free and will not shrink, spot, fade, or cause color bleeding on fabric, including delicates. It uses no chemicals or fabric treatments, and is 100% natural. Hot air from your dryer passes through the microfibers to create a steaming effect that removes bacteria, dirt, odor and wrinkles from clothing. Split fiber technology takes it one step further by creating millions of massaging strands that lift and trap surface dirt and odor while reviving fabrics and smoothing wrinkles. Just get damp and tumble with your worn clothes to reshape, revive and freshen. Clothes that were previously worn, balled up on the floor, ready for a trip to the dry cleaner's, or stuffed in a laundry basket will be fresh and ready to wear again in just minutes. On average, every load of laundry uses 40 to 50 gallons of water. That means that every household may consume as much as 18,000 gallons of water per year doing laundry alone. 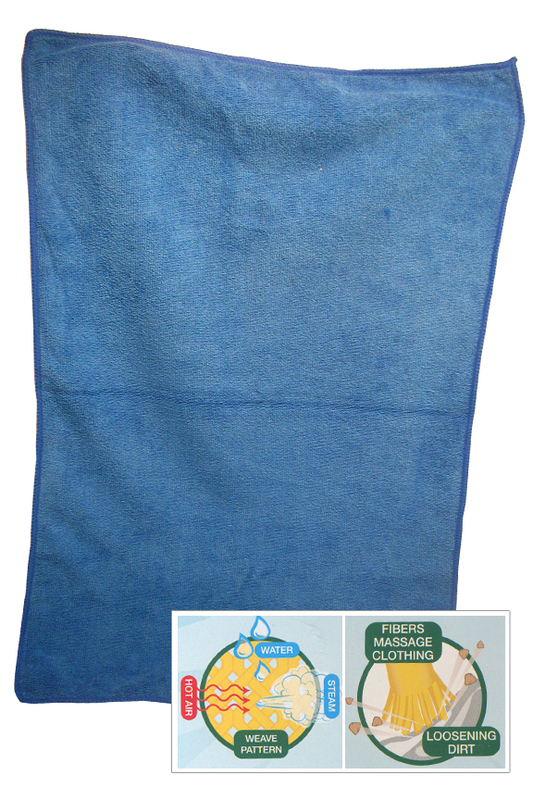 With this amazing towel you will be able to save hundreds, or even thousands of gallons of water each year. If just 50% of all households started using it, the savings would amount to over 40 billion gallons of water per month. Each wash cycle also consumes about 7 KWh of electricity, with a yearly usage of 2,800 KWh per household. If 50% of all households were using this instead, it would save over 5 billion KWh of power each month. Save time and make laundry quick and easy. Have wearable clothes in just 15 minutes with this great product. Get several wears out of each outfit before laundering or dry cleaning, but don't stink or look dirty to do it. Save the environment and save yourself some money in the process. This easy-to-use product will make your life easier and allow you to clean clothes with less effort and resources. Place up to three pieces of stinky, stretched out, baggy, or previously worn clothing in the dryer. Clean as many as eight pieces with two towels. Saturate with tap water, and then place over the top of your clothing. If odors are a problem, add a few drops of fragrance oil to the towel prior to placing it in the dryer. Set the dryer to high heat for 10-15 minutes. Once finished, remove to hang, fold or wear. Your clothing will be revived, reshaped, and smelling fresh. Stop washing clothes needlessly. Re-fresh and Re-wear! Order Yours Today! Dimensions (l x w) 28" x 20"
Stop washing clothes when you really don't have to. Steam them clean to have fresh clothes in just minutes. This great laundry product will allow you to refresh and revive slightly worn or wrinkled clothes. It's also great for dry clean only garments. Stop wasting time, money, water and energy. Order Yours Today! This dryer sheet is amazing!! I use it to quickly get the wrinkles out of my work clothes. This works great on suit jackets and pants when you need to freshen them up quickly. I would definitely buy this again!! Perfect solution to dry cleaing! These towels are phenomenal if you would like to remove the wrinkles out of a suit, blouse, or slacks. All you have to do is wet the towel and toss it in the dryer with your clothes for a few short minutes. It is a great way to quickly get the wrinkles out without depending on the dry cleaners for everything. Would definitely buy again! It works great. My old dryer of 19 years died and I had to purchase a new one to go with my newer washer, he. It has even more space in it, so I use 2 of these towels so I can put 6 to 8 items in at a time. Gently worn items, not after working all day, but lounging around or shopping, when your clothes don't get that dirty. Easier on your wardrobe too, instead of washing all the time. Saves time too, when your in a hurry for something to wear. This is the second time I have ordered these. They are wonderful. FReshens clothes and saves on dry cleaning bills. I love the Refresh'n Dryer Towel. I just received a 100% polyester blazer in the mail and it has wrinkles. Care label states dry clean only will this dryer towel remove the wrinkles without damaging the blazer? Yes. It will safely remove the wrinkles without any risk when used properly. can I use this with wool, silk, or rayon? will the hot air from the dryer shrink my clothes? No. Not in the short amount of time required for using this product. A Small Washing Machine That's Completely Portable.